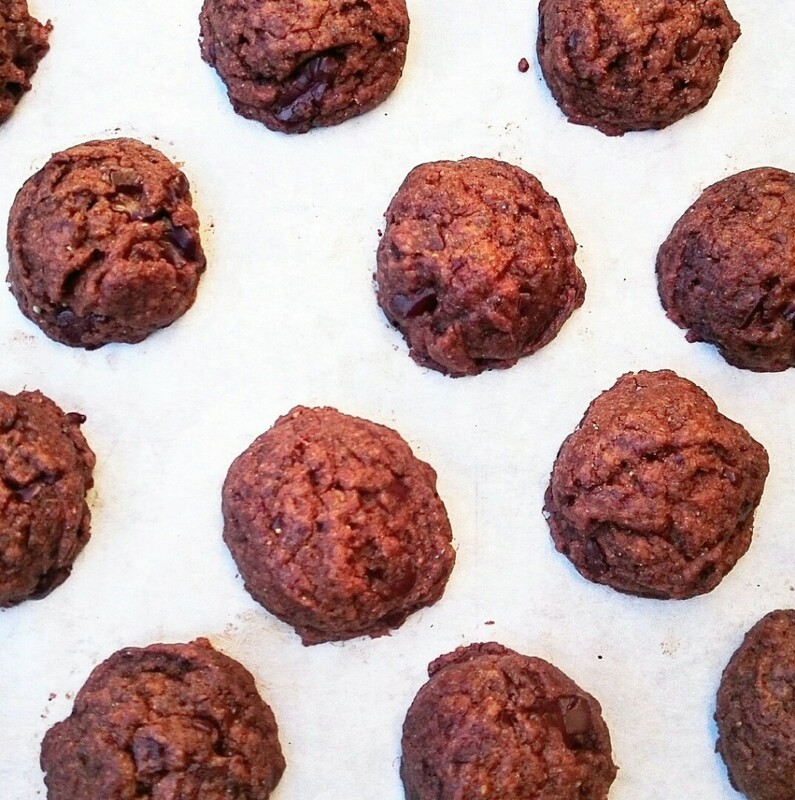 We all need to have a good cookie recipe in our recipe book. 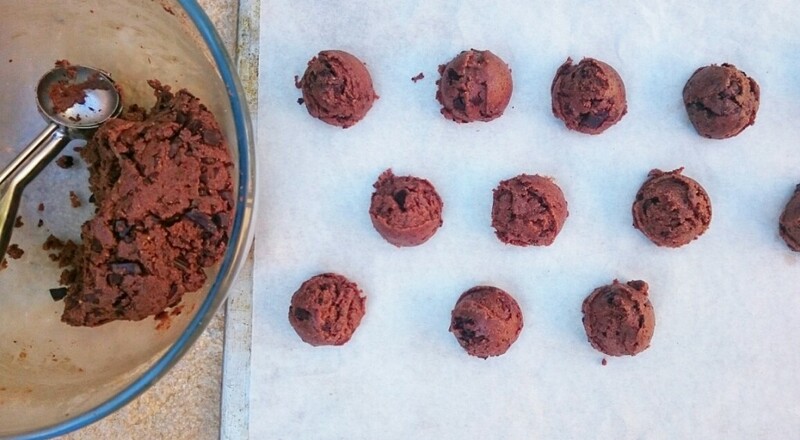 And it is even better if it is a chocolate cookie recipe. And notebook I only write down the incredible ones, so believe me when I say this one is really amazing. In fact, I have two different notebooks: the one for the recipes I am testing and the one for the approved ones. The first one is a chaos of different notes, post it, flying papers and crossing-outs. The second one has a Japanese Zen aesthetic and an impeccable writing. Although nowadays the blog could be used as a VIP recipe book, I keep using a notebook and a pen. And besides, I feel that those notebooks are a sort of legacy for my son. Because yes, there are several of them. Each of them with a different theme: cookies, cakes, sauces or dressings, vegetable burgers, breakfast… They are a reminder of what I did for him with lots of love, and something that one day in the future he will be able to get back and share with others. In the hard struggle to be accepted as one of the chosen recipes club, today´s recipe won the first prize. It is an old cookie recipe we used to make in the bakery we owned a few years ago. A fantastic cookie to die for! Not so long ago I made it again for a birthday party, reducing the amount of sugar and replacing some amount of flour for cocoa (around 10% of the flour). It was truly delicious and that is why I thought about the blog. However, it still included egg and butter among the ingredients and I thought of making a new vegan version so that all the followers of the blog would be able to make it. I used chia seeds instead of egg and coconut oil instead of butter, I also adjusted a little bit the sugar levels, replacing the sugar with coconut sugar while maintaining the proportion of muscovado sugar responsible of that special nutty, toasted and caramel touch. 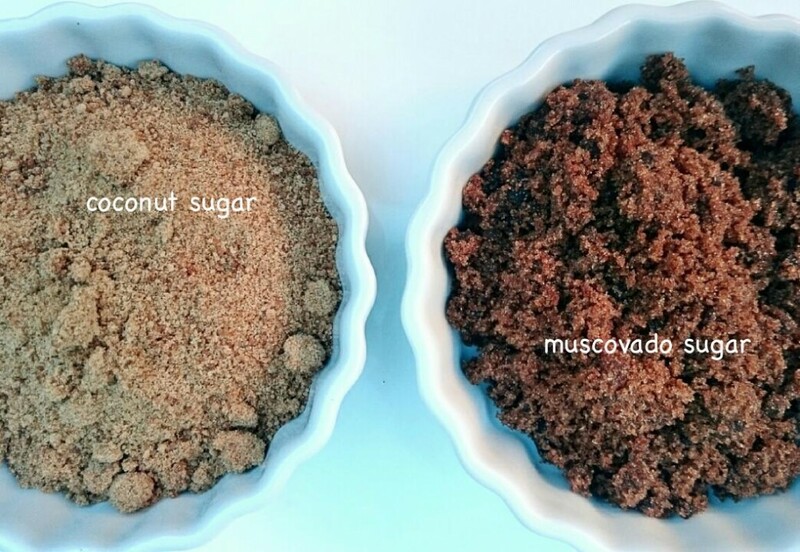 The muscovado sugar is a type of unrefined dark brown cane sugar which comes from the Reunion Island or Mauritius Island. It has a high level of humidity and it is the perfect accompaniment for all sorts of nuts, coffee and anything roasted as it boosts the caramel taste. It reminds a bit of the raw cane sugar (like rapadura) but the taste is much stronger. If we have in mind that the cookie contains hazelnut in powder and cocoa, the combination with the muscovado sugar is what gives such a fantastic taste. 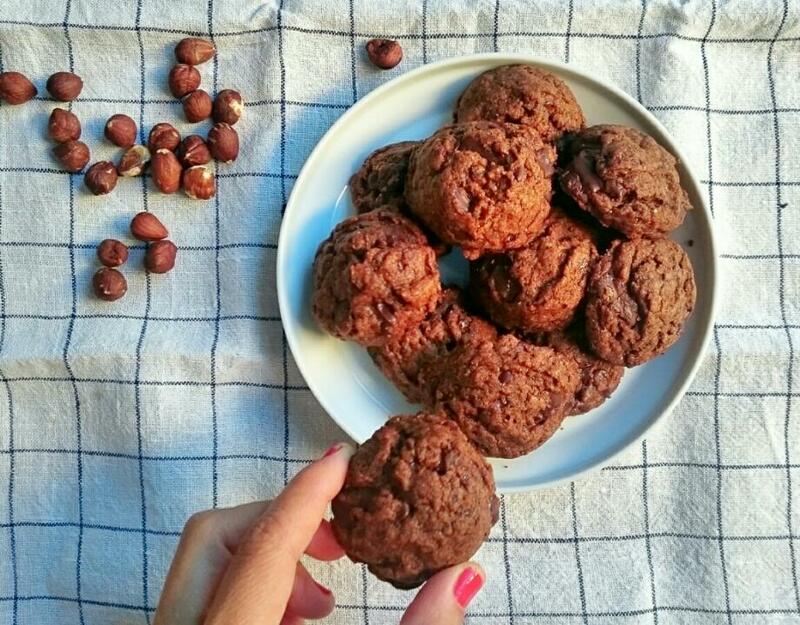 You will realize that I don´t use chocolate nuggets in this recipe. Generally these ones have more sugar (and/or milk) than a good 70% cocoa chocolate bar. It is true that they are very convenient but the taste will be completely different. 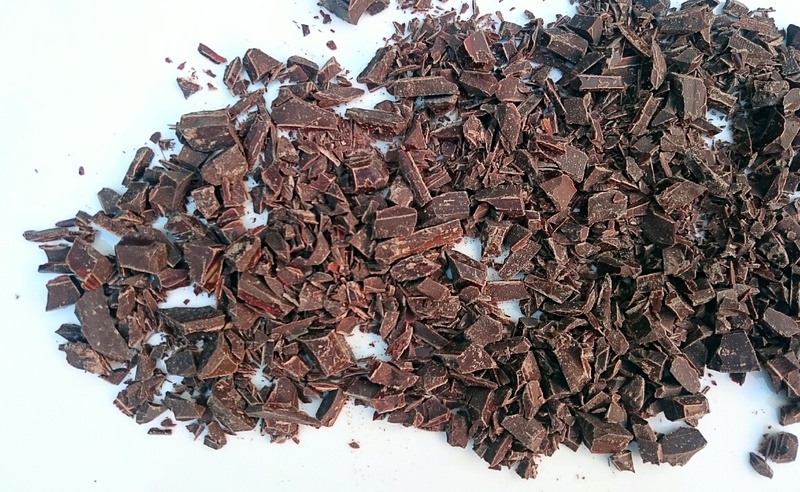 Besides, the chocolate shouldn´t be neither chopped in very small pieces, nor perfect because the funny thing is trying to find the irregular pieces of semi-melted chocolate. Just a note to remind you that you should make double amount if you like the recipe when you make it for first time. 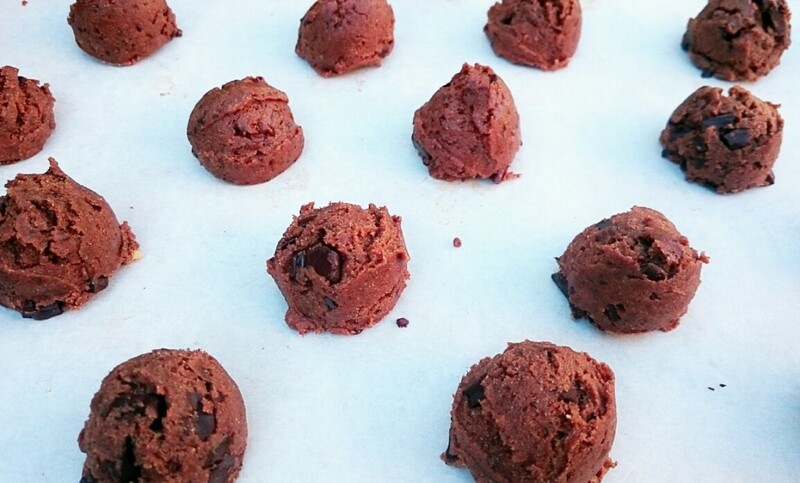 You can freeze the raw dough balls, placing them first in a tray with parchment paper and put them inside freezing bags when they are frozen. If you keep doing this little by little with different doughs, you will always have enough stock of them in the freezer and that will make you feel self-sufficient when you find yourself with nothing in the pantry. If you suddenly have an unexpected afternoon snack at home or if you want to bring something to someone and you don´t know what to bring, you will always have some stock at home ready to be cooked. Hope you find them amazing too! Heat the oven to 175ºC. Mix in a small bowl, the spoonful with chia seeds and the water, stir them and let it thicken. In a spices grinder crush 50 gr of coconut sugar (out of the 95 total gr) until you get a powder consistency. Put it in a medium bowl with the rest of the sugars, the salt and the vanilla (which you will have previously scraped to extract the seeds with a knife). In that same spice grinder crush the hazelnuts until you get a sort of flour with texture, but be careful not to over mix them, otherwise you will get a butter instead. 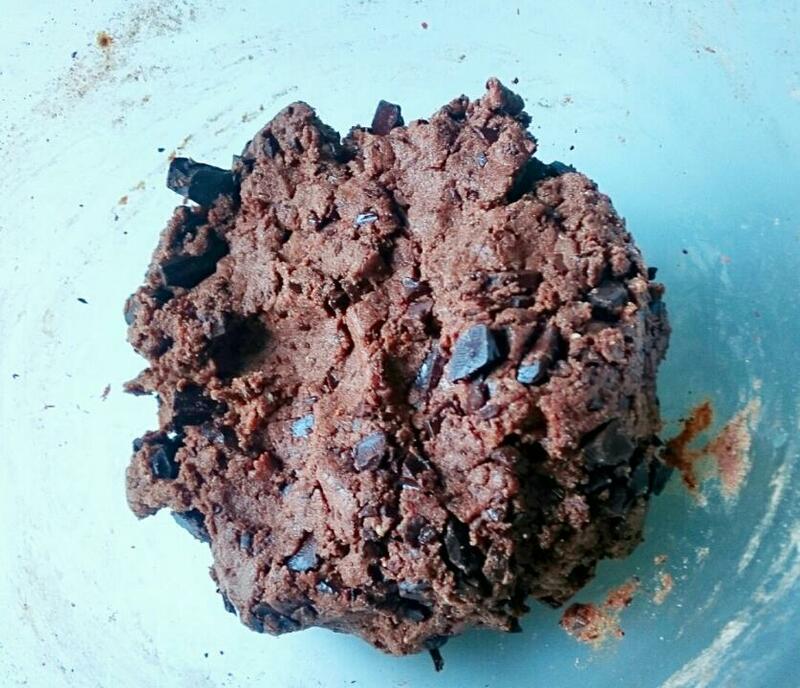 In a medium size bow add the dry ingredients: crushed hazelnuts, flour, cocoa and the baking powder. Mix with a kitchen stick until they are well mixed. Add the chopped chocolate. Pour the melted oil over the sugars bow, mix, and add the chia gel. Beat the mix well, but you will notice the fat will set apart, don ´t worry, you will need to keep stirring until you see it is coming together again forming a sort of cream. Pour the content of the bowl with flours over this "cream" and mix with the hands until you are able to make a homogenous ball. Prepare an oven tray with an oven paper and form the cookies, with the help of an ice cream scoop (mine is of 3.8 cm of diameter, if yours is bigger you will need to cook them for two minutes more) separating them from one another as you see in the picture. Cook them for 12 minutes and let them cool down in the same tray.